NOTE: This method can work for children beginning at around age 3 – and can work through early teen years. Who is more likely to help children have a healthy relationship with money? Ideally, it would be the parents! Watch the system work – and use the experience to create “teachable moments” where you can have incredible conversations with your child about money. Consider a parent with a 4 year old boy. A value of $1 SDM can be earned each week for each key task. As the child performs the tasks and earns SDMs, they can make a purchase from the store. Saving As they save money, they can accomplish more. Giving They can learn to sacrifice a gift for themselves to serve those in great need. There’s NOTHING like seeing your child be generous! Delayed Gratification The importance of saying “no” right now, so we can say “yes” to something more important later. It is a good thing to work! I want my child to learn the value of working. 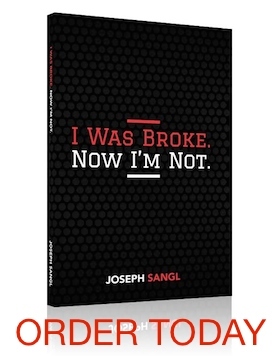 This post is part of a Kids & Money Series here at the wildly popular JosephSangl.com. Click HERE to read all of the posts in the series. Love this great idea for families, Joe. Real life for kids! Thanks for this.